In 19th century London, Cyrus Barker and his associate Thomas Llewelyn are renowned private enquiry agents, successfully employed by the highest levels of Her Majesty’s government as well as private citizens. Their success, however, has led to their acquiring a powerful group of enemies, many of whom are determined to have their revenge. At least one of those enemies is responsible for a bombing of their offices that puts Cyrus Barker into the hospital and endangers Thomas Llewelyn’s rapidly forthcoming nuptials. To add to the confusion, Barker’s long-lost brother Caleb turns up on the rubble of their doorstep not long after the not-quite-fatal bombing. Will Thomas, born 1958 in Bucks County, Pennsylvania, is a novelist who writes a Victorian mystery series featuring Cyrus Barker, a Scottish detective or “private enquiry agent,” and his Welsh assistant, Thomas Llewelyn. The Barker/Llewelyn novels are set in the 1880s and often feature historical events, people, and movements. Martial combat is a recurring theme throughout this hardboiled series. Prior to writing novels, Will Thomas wrote essays for Sherlock Holmes society publications and lectured on crime fiction of the Victorian era. 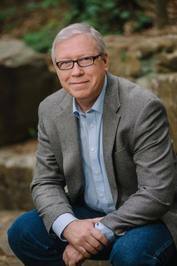 Will Thomas’ first novel, Some Danger Involved, was nominated for a Barry Award and a Shamus Award, and won the 2005 Oklahoma Book Award. In 2015, he won the Oklahoma Book Award a second time for Fatal Enquiry. Will Thomas has been featured on the cover of Library Journal, and was the Toastmaster at the 2007 Great Manhattan Mystery Conclave in Manhattan, Kansas. His fifth novel, The Black Hand, was nominated for a 2009 Shamus Award. He is married to Julia Thomas, author of The English Boys and Penhale Wood. Winners will be chosen December 7th. mayhem. I haven’t yet read anything in this series but so looking forward to it.